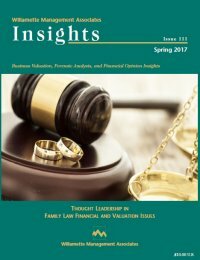 Insights is published on a quarterly basis, with periodic special interest issues. 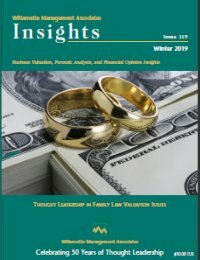 It is distributed to the friends and clients of Willamette Management Associates. 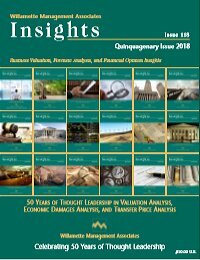 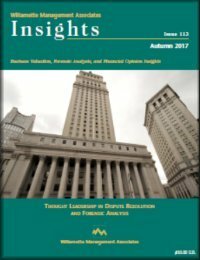 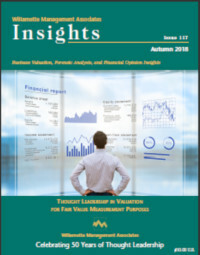 Insights provides a forum for the scholarly examination of the contemporary and complex issues in the areas of business valuation, forensic analysis, and financial advisory services. 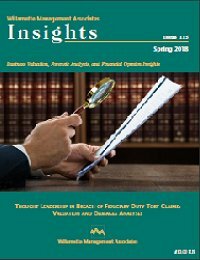 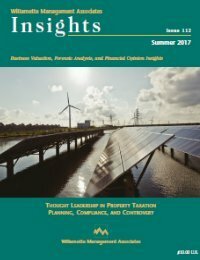 Each Insights issue focuses on a specific topic or theme, such as discussions related to transactions, taxation, financing, bankruptcy, litigation, and strategic planning. 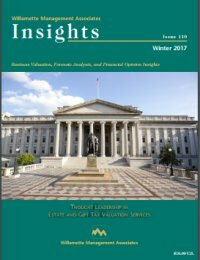 Each Insights issue includes regular features and columns and six to ten feature articles. 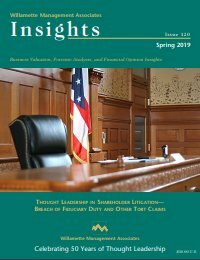 Related to that issue's topical focus, the feature articles provide practical procedural guidance, conceptual development frameworks, or reviews of relevant regulatory authority and judicial precedent. 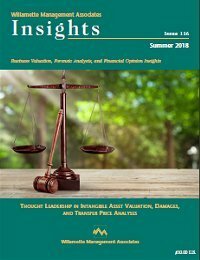 In the typical Insights issue, about half of the feature articles are authored by Willamette Management Associates professionals and about half of the feature articles are authored by prominent lawyers, accountants, financial planners, and other professionals not associated with our firm. 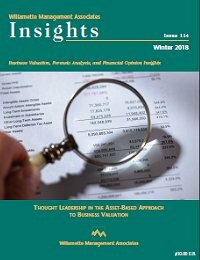 If you are interested in submitting an article for publication in Insights, please contact the editor, Charlene Blalock, at cmblalock@willamette.com.